Against Breast Cancer walks and other activities. Last year, with Chevrolet's support, the American Cancer Society raised $1,211,463 in contributions through the Making Strides walks. This money helps fund research, wellness,breast cancer awareness education and support for breast cancer patients and their families. 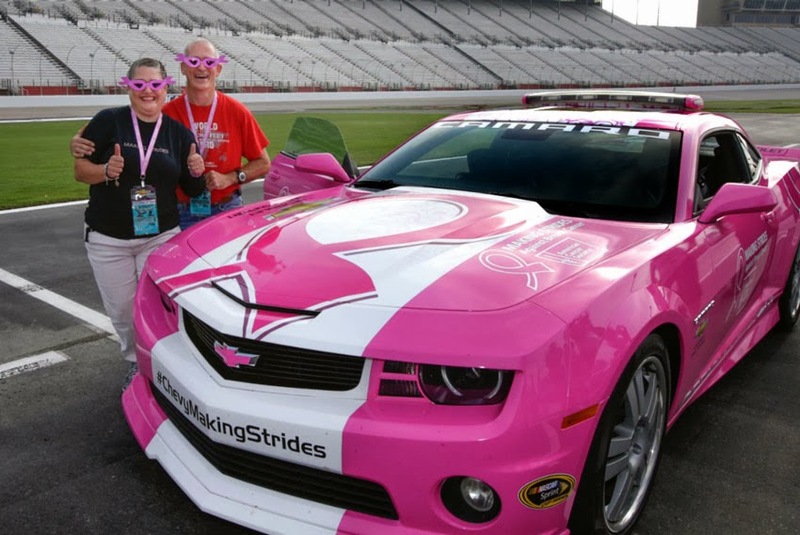 "I am proud to be part of a company that is committed to the American Cancer Society and its Making Strides events," said Don Johnson, Vice-President of Chevrolet Sales and Service. "The generosity of our employees and dealers continues to show me how everyday heroes can unite to make a difference in eradicating a disease which impacts millions of individuals every year." 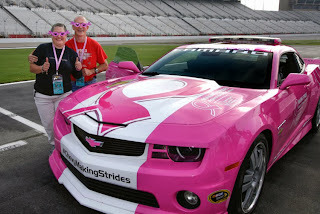 Outside of Detroit, Chevrolet supports Making Strides events nationally with dealership-sponsored fundraising walks, test drive promotions, service rebate promotions and recognition at select NASCAR Sprint Cup Races, including a branded pink pace car and caution lap donations. Customers can join Chevrolet in the fight against breast cancer just by taking a test drive. A $10 contribution per test drive up to $130,000 will be made to the American Cancer Society for everyeligible test drives taken nationally on select dates at participating dealerships. Drivers must be over 21 with a valid driver's license. The promotion is limited to one test drive per person. Additionally, a Chevrolet Certified Service matching rebate promotion on select services encourages customers to contributetheir service rebate to the American Cancer Society from October 1, 2013 through November 30, 2013, with Chevrolet matchingcontributions dollar for dollar up to $60,000.